Jess is a KC-based graphic designer with a heart for photography, typography, and all things small. Originally from Kansas City, Jess relocated to Chicago to receive a BFA in graphic design and eventually began her career working with agencies such as Tukaiz, The Locker Shop, and TwoxFour in Chicago's downtown loop. During more than five and half years in Chicago, her experience brought her to design a digital billboard for New York City's Times Square, a concessions cart for the 2013 NBA All-Star Game, a 2014 Kentucky Derby Suite Menu redesign, and work featured in Walgreens, Walmart, Menard's, Home Depot, and various retailers, vendors, and stadiums across the country. 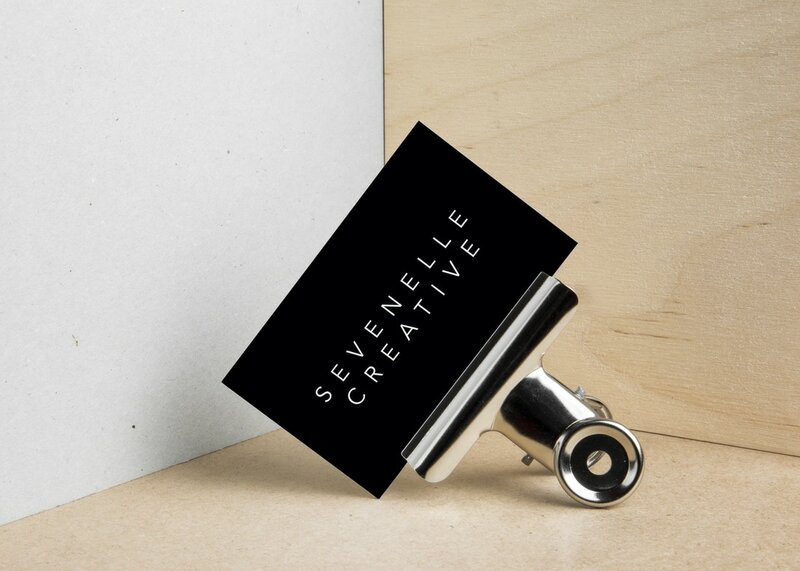 After relocating back to Kansas City in the fall of 2014, Sevenelle Creative began in May of 2015 as a name for Jess' freelance. Since launch, Sevenelle has participated as showing artist in multiple local art shows, including Liberty Arts Squared, UNPlaza Art Fair, and the 2015 Arts & Crafts Beer Festival and has partnered with Simple Rememberings in Kearney, Missouri to feature local and travel landscape photography. For any Project, we require a $50 initial deposit to begin. From there, the pricing will be determined based on client agreement, either in a flat or hourly rate. We'll send you a Beginning Invoice for the initial deposit and a Final Invoice for any remaining balance (as agreed) once all materials have been completed and delivered. ​Whether you're a new business getting started or an already established looking to rebrand, planning a wedding, expecting a baby, celebrating a birthday, or simply celebrating because, Sevenelle will work with you every step of the way to bring your visions to life. Business cards, invitations, announcements, RSVP's, menus, and so much more custom designed just for you!